Clinical Case: Dizziness during head flexion. Clinical Case: Dizziness during head flexion. A 74-year-old man presented with neck pain and dizziness during head flexion. These symptoms had been present for years but had worsened in recent months. Doppler ultrasonography of the epi-aortic vessels suggested occlusion of the left internal carotid artery. 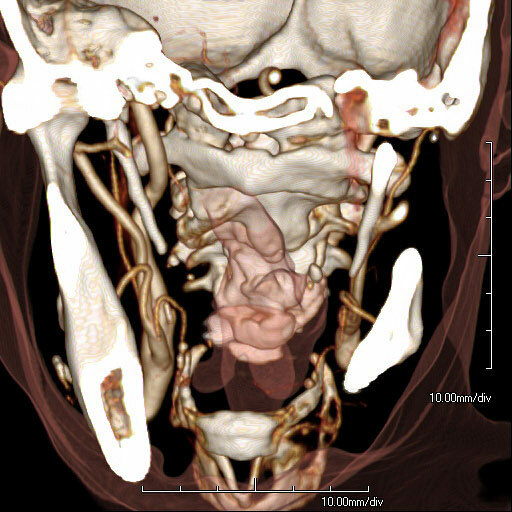 CT angiography of the neck was performed for further evaluation.